Have you heard people go on and on about the great deals they’ve gotten through their CSA (Community Supported Agriculture) or vegetable box scheme? These interactions between consumers and farmers can be a win-win – members of the community invest in a local farm, and in return get fresh fruits and vegetables. It’s tempting to jump in and try it…but is it worth it? How do you find a reputable one? It’s a good idea to know what you’re getting into before signing up. Here are some considerations. 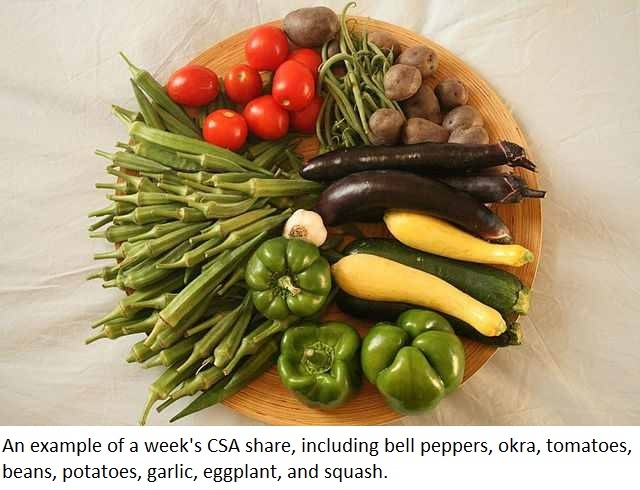 A vegetable box scheme or CSA box is, basically, an agreement between you and the farmer. Most farms require that you sign on for a full season, and for a fee you receive a box of seasonal produce every week, every other week, or monthly, depending on your local scheme. The contents of the box are strictly seasonal; you won’t find summer squash in June, for instance. Some schemes will deliver to your door; others ask you to go pick it up on a set day. * The distance between farm and table is reduced, thus reducing the use of preservatives on produce and the use of fossil fuels to transport the produce. * The produce is in season, bringing you closer to the way your ancestors would have eaten. 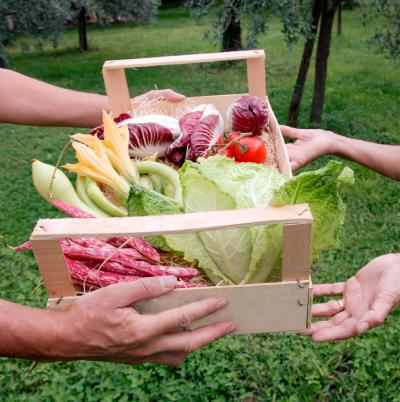 * The food in a veggie box is usually much more affordable than a comparable amount of food from the store. You’re not paying for the transportation for one thing. * You will get the opportunity to try new and unusual vegetables and fruits. * You will be supporting your community and reconnecting with the origin of your food. * You will likely have to sign on for a full season or even year; if you don’t like the way the service is going, you’re stuck with it. * There may be large quantities of a fruit or vegetable you don’t know what to do with, or that no one likes. * You can’t pick and choose the produce; you get what’s available, and sometimes there are substitutions (if the bell pepper crop doesn’t do well, for example, you may end up with eggplant instead). * If you cannot make the pick-up time, you lose your produce. A good place to start is within the community. Ask around and find out who and what is selling. This is a good way to find out who has a good or bad reputation, too. You can also check at your local farmer’s market, as many farmers participate in CSAs. And of course, you can always do an internet search to find one in your area. If you do an internet search, in your preferred search engine (if you live in the USA) type Community Supported Agriculture….and type the city or state were you live. If you are living out side the USA check with your local government officials. We have a new CSA Pick-up Location! This entry was posted in Reviews - Kitchen Utensils - Cooking - Food and tagged Community Supported, Community-supported agriculture, Farmer, Farmers' market, fresh fruits and vegetables, Local Harvest, Produce, United States, Vegetable, Vegetable box scheme. Bookmark the permalink.